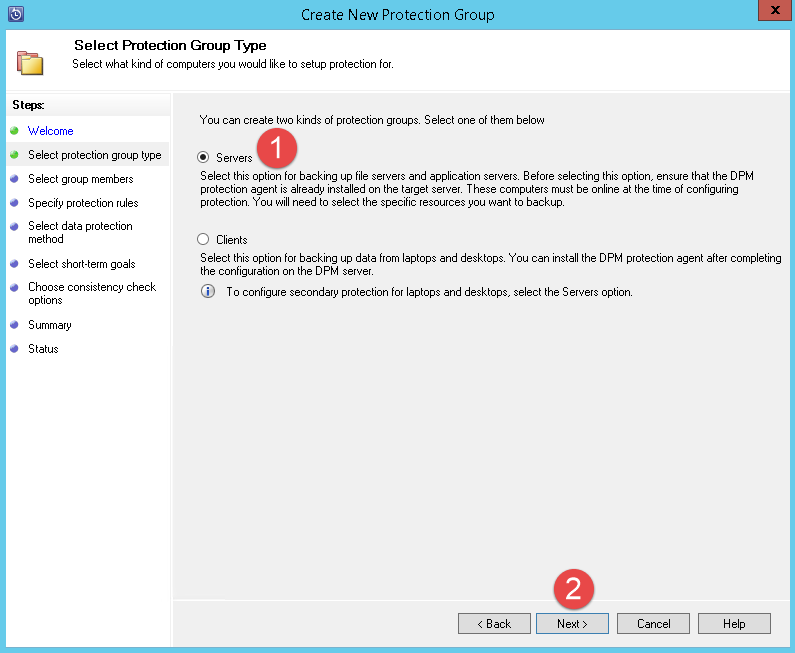 A protection group is a collection of data sources that share the same protection configuration. Data sources within a protection group are referred to as protection group members. Double click the DPM icon to launch DPM. The console will open up and show the protection groups currently running. 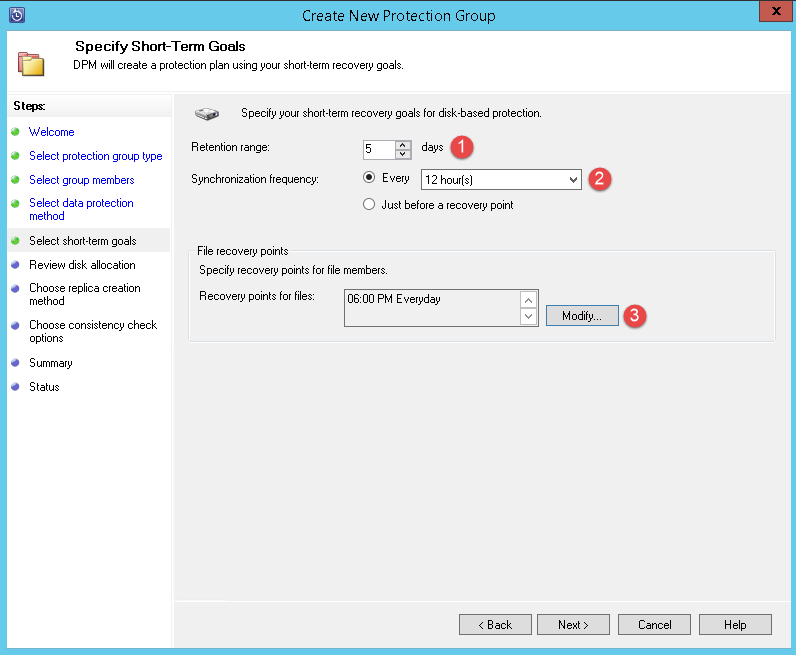 To add a new protection group click the new button. We going to protect a server. Click Next. Step 1 -> Expand the server you want to backup. Step 2 -> Click the checkbox for the folder you want to backup. Once that is done it will show on the right hand side of the screen. 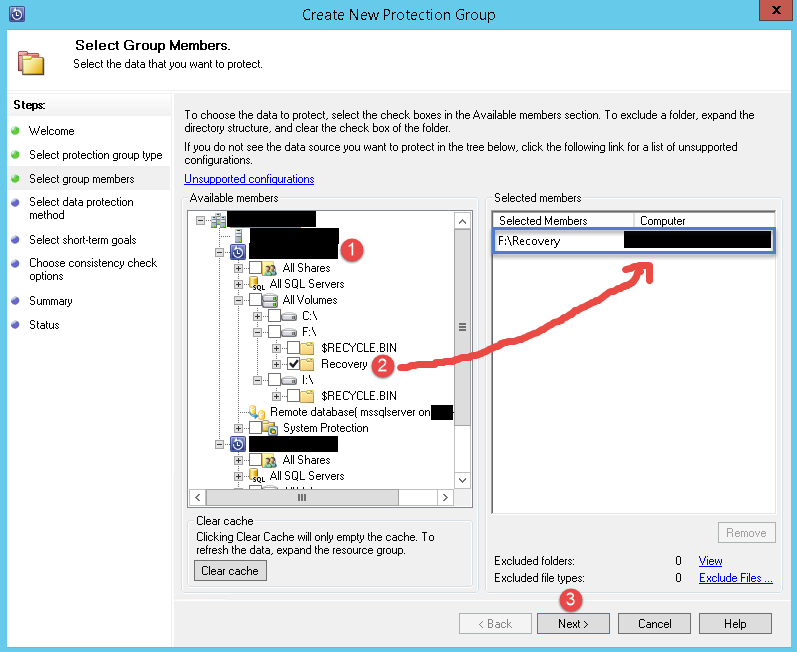 Step 1 -> Give your protection group a name. Step 2 -> Select your option. Step 3 -> Optional, you can enable online protection. Step 1 -> Select your retention range. Step 2 -> Select the Synchronization. Step 3 -> Click on the Modify button. 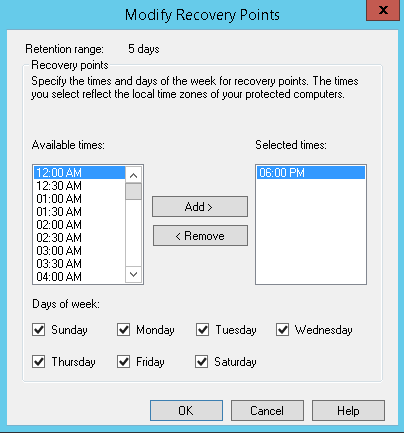 Select the days of the week you want the backups to run, the default time is set, you can click the remove button and add in your times. Click OK and it will return you to the previous screen. Click Next. 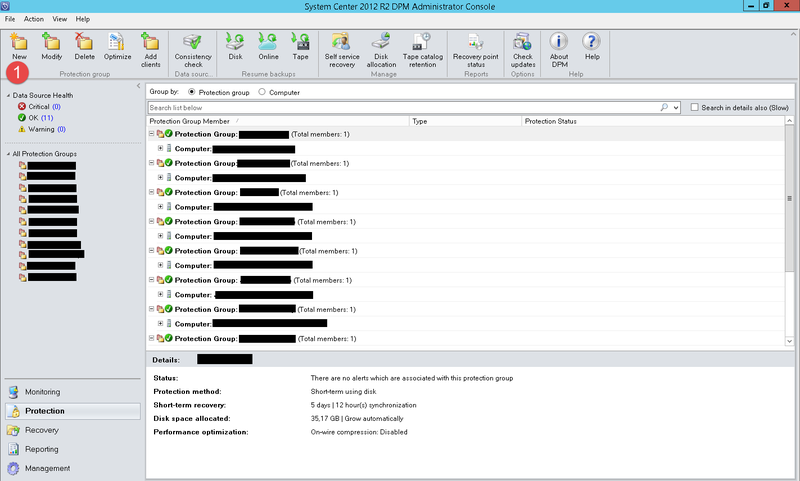 I have a storage pool setup so it allocates the space, however if you want to modify this then click the modify button and select your storage. Don’t forget to format the drive within DPM. Select your option above. Click Next. Here you can select where you want to run a consistency chick if a replica becomes inconsistent and then you can also schedule it. Once you have made your selection click Next. Review the summary and then click “Create Group”. Once it completes it will give you a success message.